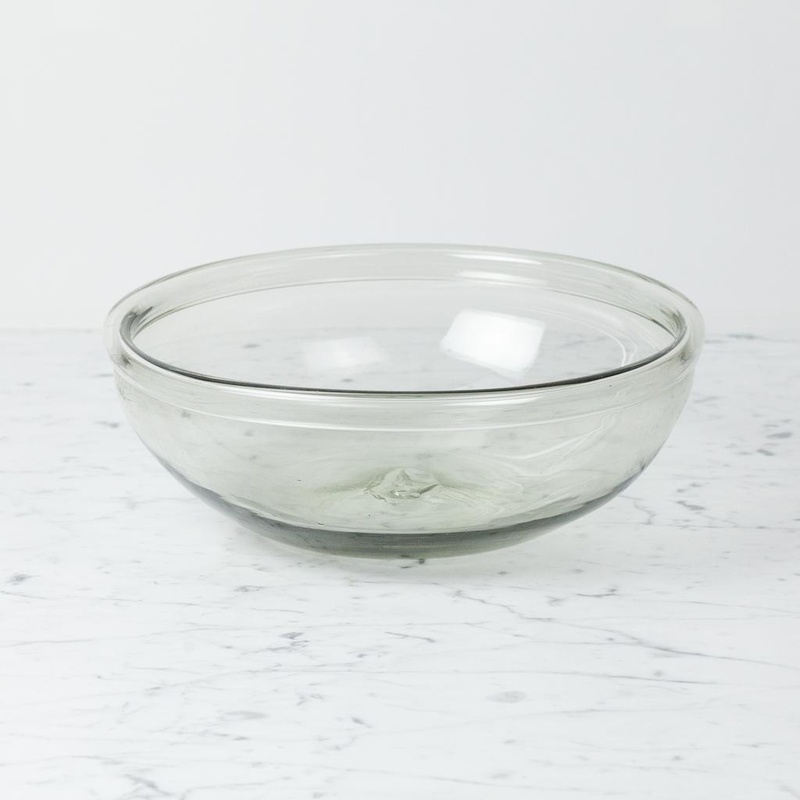 Handblown Glass Bowl - Large - 11 1/2"
Home / Handblown Glass Bowl - Large - 11 1/2"
Exquisitely delicate yet surprisingly sturdy, these substantial hand-blown glass bowls are ideal for big, gorgeous salads or for your keeping your rotating cast of seasonal fruits to hand on the countertop. 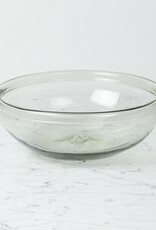 Perfectly imperfect, these give an elegant, bohemian vibe to all your dinner parties and big brunches. 11 1/2" around and approximately 4 1/2" tall. About the maker: Hand-blown in a second-generation woman-run furnace in a small town in Jalisco called Tonala, each piece is individually crafted by a team of three glass blowers working in an open air studio using only recycled glass stock. Picture bougainvillea hanging over the finishing kiln. 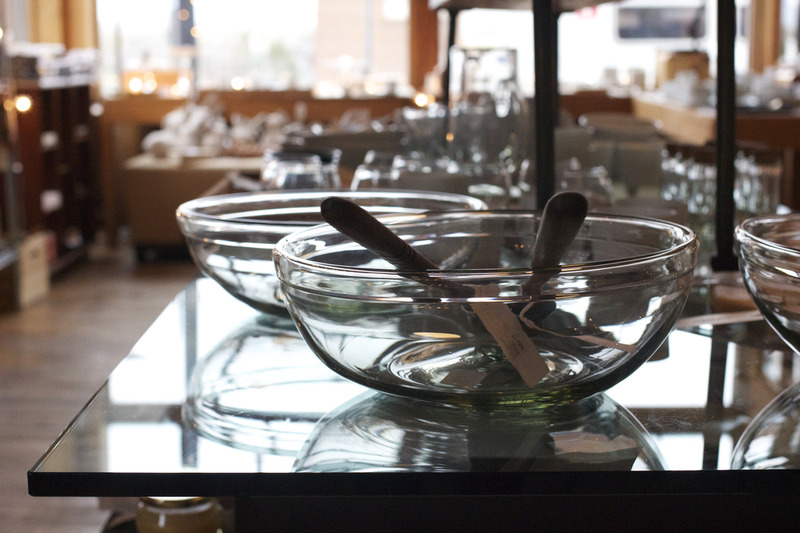 These pieces are both elegant and bohemian, simple and classic, made to be used, and loved. 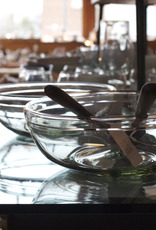 Take Care: While the handblown glass can handle the occasional all-night party in the dishwasher, we like to hand wash ours to be on the safe side. As with all untempered glass, be mindful when transitioning between extreme temperatures.